On February 20, Matty sat down and typed a scathing post about the Providence Friar men’s basketball team. Normally, I allow Matty to fly off the cuff every so often on this blog about the Friars. After reading his piece, I had to respond to his incessant negativity about a team that deserves anything but. I have known to be down on the Friars over the years. I have done my fair share of bashing as well. Ask me about Bilal Dixon, Geoff McDermott, or Marcus Douthit and watch my head explode. This is a season I have been immensely proud to be a Friar Faithful. 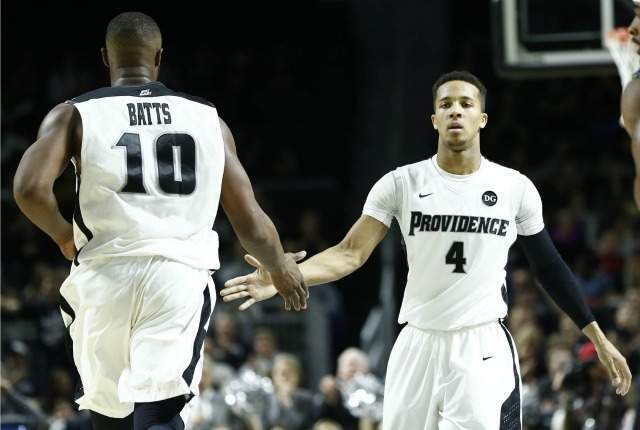 If you told me on January 5, 2014 the Providence Friars were going to be on the bubble, looking in on an at large NCAA tournament bid, I would have asked you about your care giver. On January 5, the Friars lost to Villanova by 30. 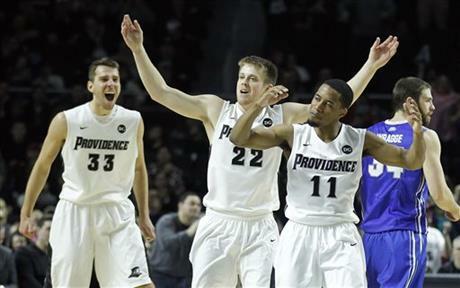 On January 5, the Friars were 0-2 to start conference play and had lost three games in a row. On January 5, the Friars knew they would be without Kris Dunn, Brandon Austin, and Rodney Bullock for the rest of the season. Fast forward to the present. The Friars are in the middle of the Big East standings. The Friars are among renowned Bracketologist Joe Lunardi’s “final four in.” They have gotten to where they are today with essentially six guys. Given all that has happened to the Providence College program this season, what more could a true PC fan ask for? Before I verbally castrate Matty, let me lay some ground work for some readers that may be new to NTCF. Matty was (and still is) a Keno Davis fan. Let’s let that sink in for a minute. Matty was actually upset when the Friars first hired Cooley. Matty will argue Keno’s stop at PC was full of bad luck. He will also quickly point out Keno beat at the time #1 Pitt at home. Matty will even argue Keno Davis is partially responsible for PC’s success this season because he recruited Bryce Cotton, Kadeem Batts, Brice Kofane, and Lee Goldsboro. Matty will ignore Mr. Davis went 46-50 in his three seasons at Providence, did not win a post season game, and two of his recruits currently reside at the Adult Correctional Institution in Cranston, Rhode Island. Matty will also ignore Keno Davis’s current record at Central Michigan. I won’t. He is currently 19-33. 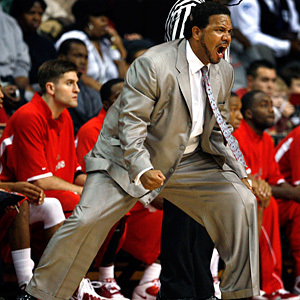 Ed Cooley is 51-41 at Providence. He took the Friars to the NIT Quarterfinals in his second season with the program. He has brought top talent to the program (Ricky Ledo, Brandon Austin, Kris Dunn,). I’ll admit getting them on the floor has been another issue. My point is, he is putting Providence on the map. In Matty’s post on February 20, he stated “Bryce Cotton is overrated.” I always have to remind myself Matty was a helluva middle linebacker in high school. He took a lot of shots to the head. Obviously, we are seeing the effects of these shots to the head now. If it was not for a man named Doug McDermott, Bryce Cotton would be the consensus player of the year in the Big East. There is no more obvious of a statement than saying Cotton is who makes the Friars go. Cotton is pouring in 21.5 points a night, handing out 6 assists, and grabbing 3.5 rebounds per contest. He is also averaging 39.9 minutes a game. Yeah, Matt. He is so overrated. Cotton has been the reason the Friars have stayed in games all year long. He is not a true point guard. To criticize him like he is would be unfair. He can create his own shot, he is outstanding in the lane driving to the basket, and he has eyes all around his head. I don’t know why I am still arguing this point. If anything the point has been belabored. Bryce Cotton has been outstanding all season long. Next, Matty came after Josh Fortune. This is another unfair criticism. Now, do not get me wrong, I get upset with Fortune at times as well. But on the whole, Fortune has improved leaps and bounds from a season ago. Last season when he was on the floor, it was a 4 on 5 game. As of late Fortune has emerged as a lethal outside shooter. This is an element PC sorely needs in order to help free Bryce Cotton a bit more. Hopefully, Fortune can make the next step going into next season. I would like to see him take better care of the ball. As far as this season is concerned, I have been pleasantly surprised by his development. All of the Tyler Harris hate is tired and old. Matty wants this kid’s scholarship revoked. Harris is basically a freshman. He played in 19 games averaging just 14 minutes for NC State in his true freshman year. I do not understand piling on copious amounts of criticism on a kid. I could understand if he was an upper classmen. He is not. He has not had a chance to gain the experience necessary to prevent him from making dumb mistakes. The kid has boat loads of talent. I believe Tyler Harris will be a stud in a Providence uniform one day. This is his year to learn and to make mistakes. He is still a vital part to the PC attack. Calling for a scholarship revocation is as ignorant as it gets. To switch gears, I wonder if Matty has watched any games this season. He has Kadeem Batts up on some sort of pedestal. I can’t understand it. Yes, lasts season Kadeem was great. He was so great, I honestly believed he would be at the very least a 2nd round pick in the NBA draft. This season, Kadeem has done his best Jeff Green impression. He has been the epitome of inconsistency. One night he has 18 and 10. The next he completely disappears, has horrible shot selection, and gets bullied in the post. Kadeem gets the brunt of my criticism this season. In the same breath, I believe he is the key to the rest of the season. As Kadeem goes, so to will the Friars. The Friars should go 2-1 to finish the season. They should beat Seton Hall and Marquette. They have no chance of beating Creighton on McDermott’s senior night. If they can win at least one game in the Big East Tournament, they should make the NCAA’s. With the way the season has gone, that is a massive accomplishment and a giant step for the program.